May | 2010 | Hidely Ho, Neighbors! Working at a church really disrupts the great American tradition of the three day weekend. So we’re headed out for a mini vacation this morning. And of course, no vacation can start without the proper application of breakfast carbohydrates. We’re just finishing up at Bob Evans. And I can happily report that, two weeks out, there have been no side effects from my lack of a gallbladder. So our tradition of poor nutrional choices on vacation seems to be intact. I wish I still had enough hair to get a summer haircut. Having a little time on my hand last week, I did a little TV watching. And by “little” I mean most of my waking hours. Most of the time, the kids are not really interested in shows that I want to watch. They tend to ignore the TV when it’s not tuned to something containing animation. But the other day, I notice J had stopped putting together puzzles and was watching TV right along with me. Nothing brings a tear to my eye faster than my son laughing at the sight of exploding pants. Or learning to yell “Fire in the hole!” before a countdown … and then laughing maniacally. 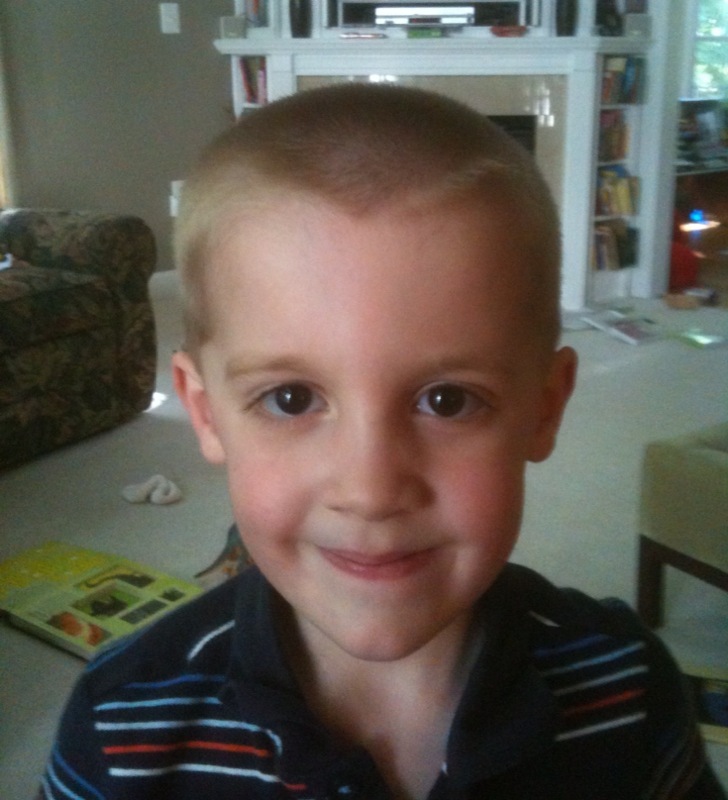 OK, usually I limit this blog to cute things the kids have done, neat life stories, etc. But I’m going to give myself some latitude for one opinion piece. If you didn’t watch the show Lost, or have no desire to hear my opinion of it, you can stop reading now and come back tomorrow for more wacky anecdotes and YouTube videos. I’ve been watching the show Lost since its inception. I love TV shows with large, interconnected story arcs. For almost 6 years, this show has been the mother of all large, interconnected story arcs. Now, on an emotional level, I liked The End. It wrapped up a lot of the “character-driven” plot points. However, from an intellectual level, it was a hollow farce. The show spent over 5 years developing an intricate, interwoven mythology involving smoke monsters, hieroglyphics, electromagnetism, wacky 70’s research companies, three-toed statues, submarines, polar bears, infections, comic books, psychic powers, fertility issues, mysterious supply drops, maps written in invisible ink, mysterious repeating numbers, weird tattoos, talking to dead people, various rules, a frozen donkey wheel, pendulums, atomic bombs, circles of ash, and time travel. And, in The End, very little, if any of this mattered one bit. As the end of the series has approached, the writers/producers have starting repeating that Lost has always been a “character-driven” show, so these types of details aren’t central to the show. Do you really think the millions of people were watching this show solely because of the characters? Of course characters and character development are integral parts of any show. But for 6 years, the main draw of the show has been the mysterious, interwoven mythology. And to simply jettison this mythology and fall back on the “character-driven” excuse is a sign of lazy writing. Since the finale, I’ve heard the phrase “we left these things as mysteries so that each viewer can have their own interpretation” repeated over and over as well. It goes hand in hand with “Well, if you need the writers to spell out everything for you, you really haven’t been paying attention.” Excuse me? Not paying attention? Have you seen the thousands and thousands of analyses of each episode? Most people paid more attention during Lost than any other show in recent history. The reason the writers left so much “open to interpretation” and didn’t spell out answers to the mysteries presented in the show was because they couldn’t. Again, lazy writing. Another excuse was that they claimed they didn’t have time to answer most of the questions posed in the previous 5 years because they had a hard and fast end date to the series. But they were the ones who insisted on this end date. To add insult to injury, they spent several episodes of the last season having the main characters sitting around a temple, talking to newly-introduced characters that had no purpose, in effect wasting several episodes. But they still claim they “didn’t have time” to answer all the questions. More lazy writing. Want to know my “interpretation” of Lost? You had some writers who developed a great nugget of a story idea, started fleshing out some fascinating and intricate mythology, watched it snowball into a full fledged cultural phenomenon, only to realize that they had no idea how to wrap up the whole thing. So they cobbled together a story book happy ending, threw in a couple of token “Oh look how they had the same character do the same thing in the first and last episode to tie things together” moments to distract from the fact that they really didn’t explain anything, and then hid behind the various excuses I’ve already mentioned. To me, it’s like having a 50 chapter book where the first 49 chapters were written by Tom Clancy, only to have the climactic last chapter written by Danielle Steel. And I’ll leave you with a link to a video that summaries my feelings pretty well. You have a lot of gall … or maybe not. You would think that having a week off work would have afforded me a lot of time to blog, eh? I guess the four holes in my gut (and a healthy dose of percoset) put a damper on my creative muse. Oh well. So, where was I? Oh yes, in the hospital. 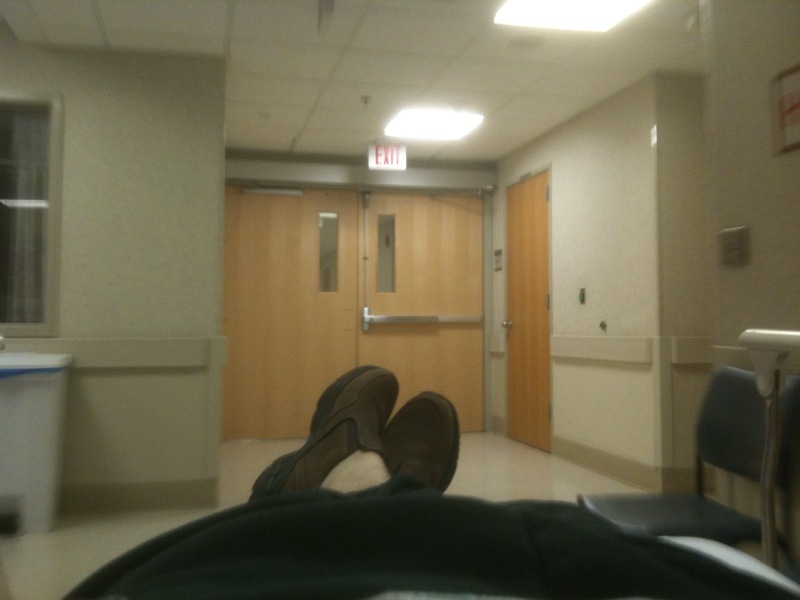 My last post was written on my iPhone while I laid in a hospital bed, awaiting surgery. But I’m getting ahead of myself. 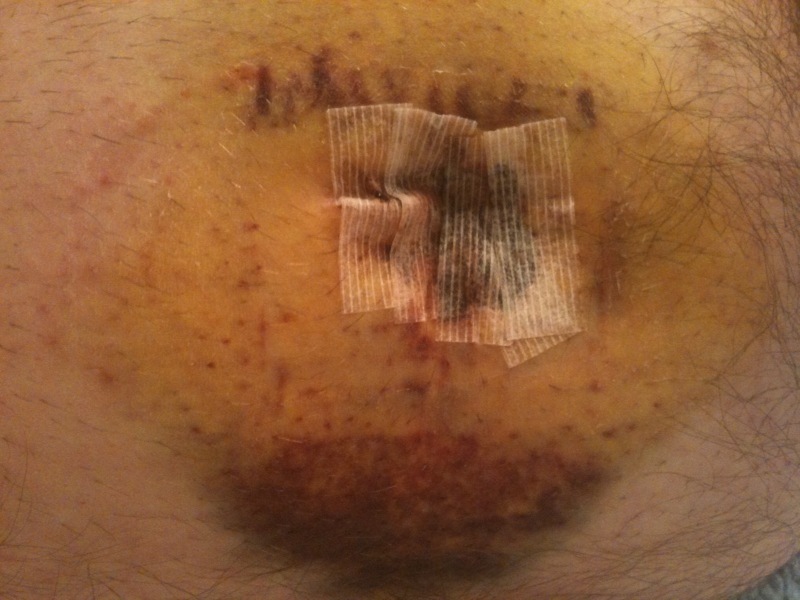 About two weeks ago, late in the evening, I had a pretty good pain in my stomach. Kinda like the worst cramping you can imagine. After several sleepless hours, the pain went away. Chalking it up to a bad meal, I thought nothing of it. Until it happened again four days later. Now this time it happened earlier in the evening. I chugged some Pepto and it went away in about an hour. Again, thinking it must be food related, I dismissed this episode as well. I guess third time’s the charm, eh? Because three days after that, at about 11 PM, the pain returned. And this time it brought reinforcements. This third time the pain was so intense that I couldn’t stand up straight. It laughed off my pitiful Pepto attempt. It mocked me in my desire to sleep it off. After three hours of this, I knew this was not some run-of-the-mill reaction to less than stellar nutritional choices. So I sucked up my man-pride and decided to go to the ER. And this is the point in the program where I mention that K was 2400 miles away at the time. With Nana in the house, at least I was safe in the knowledge that I wouldn’t make two 5-year-olds spend several oh-so-entertaining hours in the ER waiting room. Not wanting to wake my brother with either a phone call or ambulance speeding past his house, I decided I was coherent enough to drive myself to the ER. 3:30 AM – ER doctor says gallbladder is inflamed and full of stones. Says it should be removed ASAP. 3:45 AM – Called K to fill her in. Always fun to have to wake up your spouse to tell her you’re having surgery while she’s a minimum of 12 hours away. 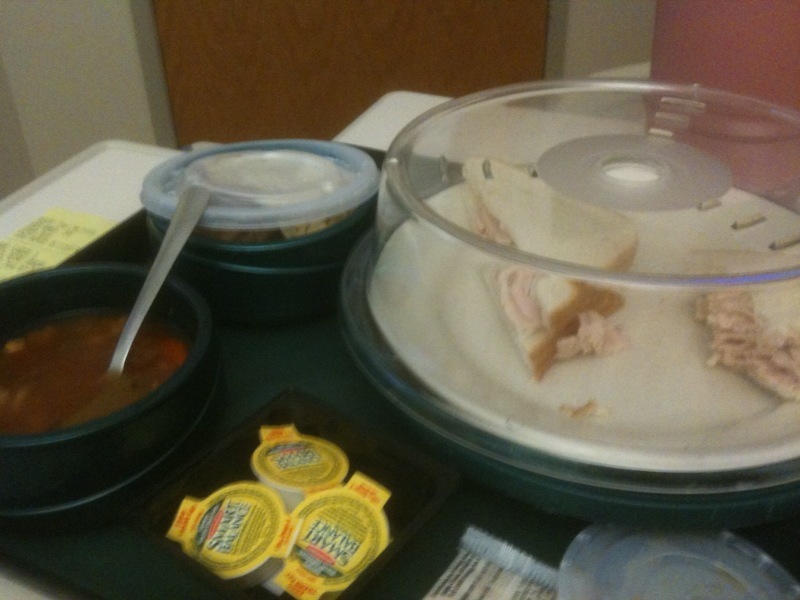 4:00 AM – Admitted and moved to a regular room. 8:00 AM – Met with surgeon. Says I could go home, but these attacks will just continue. His second surgical slot of the day is open, and we decide to move ahead. 1:30 PM – … I wake up in recovery. 2:00 PM – Moved back to my room. Sleep for a couple more hours. 6:35 PM – K arrives home after 6 hours in the San Francisco airport and 6 hours on a plane. This is what 3AM in the ER looks like. Nice. Gurney-cam. I think I look rather relaxed. Post-surgery fashion accessories are all the rage this year. 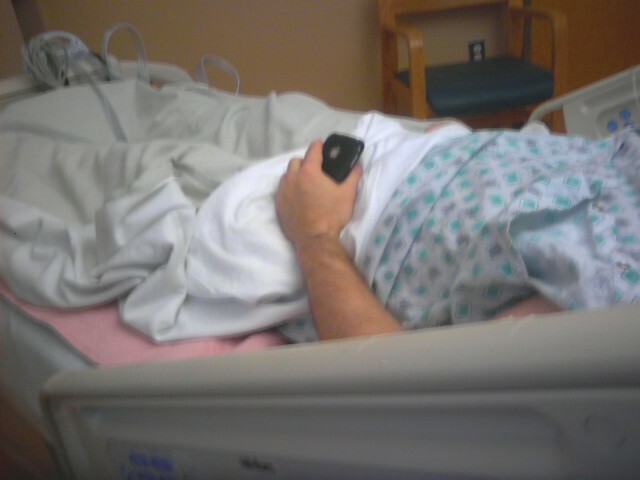 Yes, I am sleeping with iPhone in hand. I need help. I beat K home by 5 minutes. 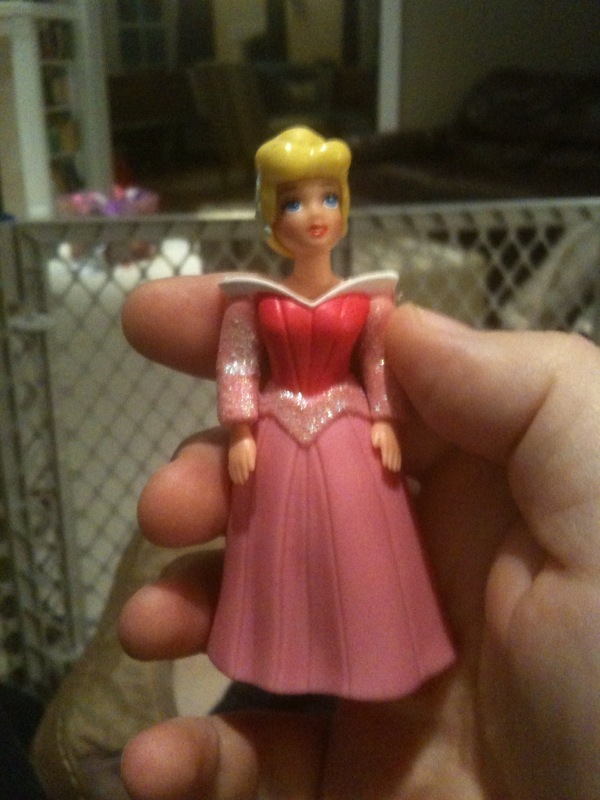 A brought me a princess to cheer me up. 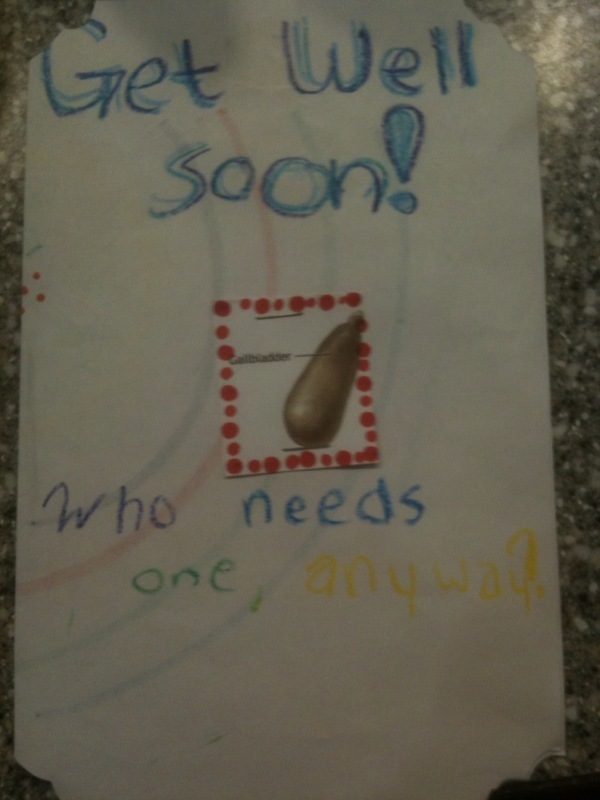 A handmade card from my nieces. 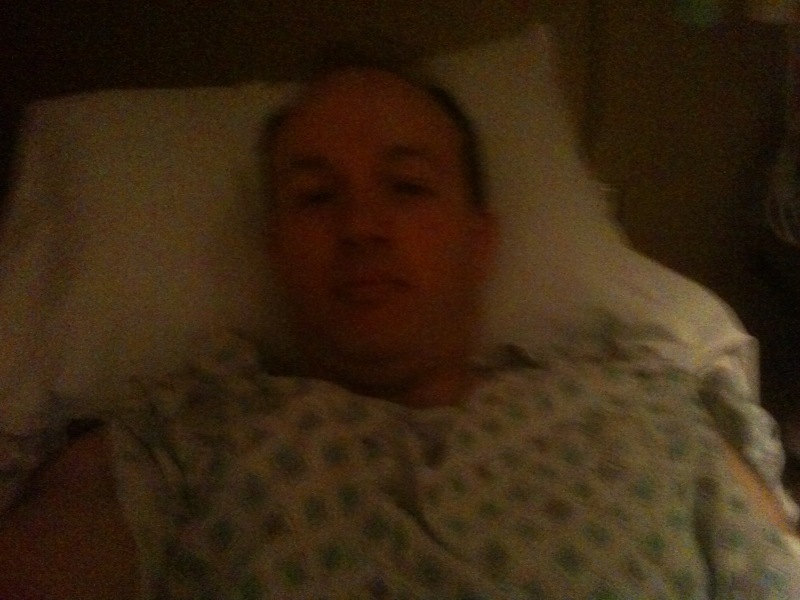 I am having my gallbladder removed. Yea! Long story short, I’ve had a couple of incidents of acute abdominal pain over the past week or so. The last one was Sunday night. 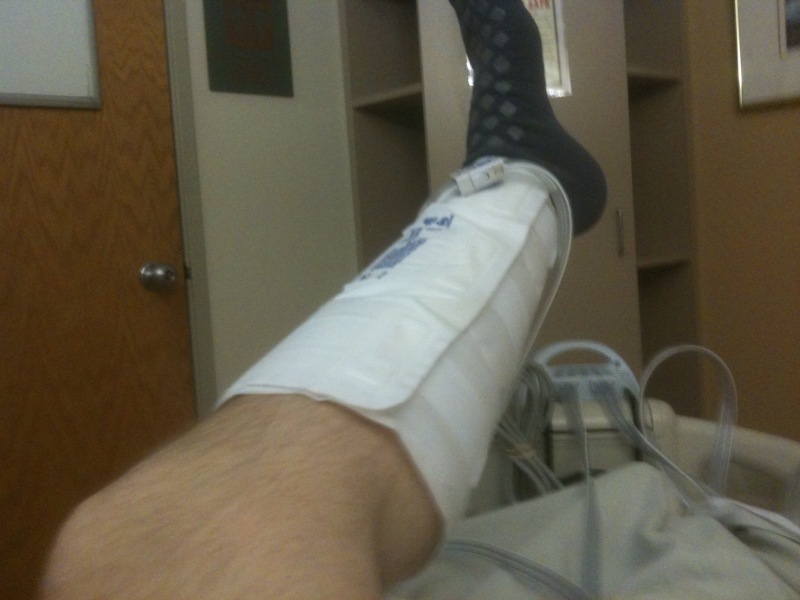 After three hours of some pretty good pain, I sucked up my male pride and went to the ER. Symptoms, bloodwork and ultrasound confirmed gallbladder issues. Since it was so acute, they didn’t want to wait. So the little bugger is coming out. Did I mention that K is in San Francisco? She’s now looking for the first flight home. Pray for safe travels for her. Check this space for updates. But I promiss I’ll spare you pictures of me in a hospital gown. 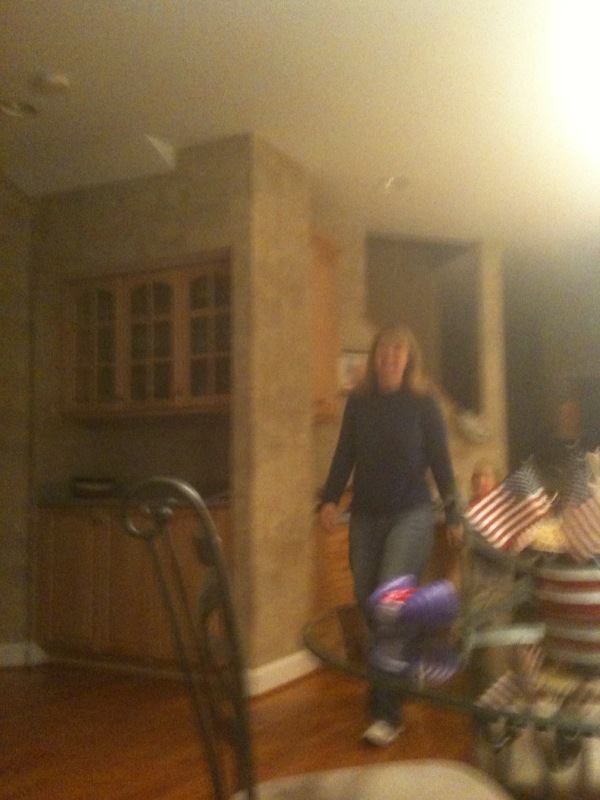 Crazy homeless woman … check. Police show up when reception desk panic button is accidentally pressed … check. Having random fire alarms go off while part of our alarm system is fixed … check. Crawling through less than sterile environments to get to alarm equipment … check.